Ring in the New Year with a celebratory cruise on the M/V Double Sunshine! The cruise will feature appetizers, refreshments, music and entertaining narration from Pure Florida’s captain, followed by the fireworks show from the Naples Pier, which will begin at 7:30 p.m. Tickets for the Naples cruise are available for $95 per person which includes one complimentary drink ticket. Reservations are required. 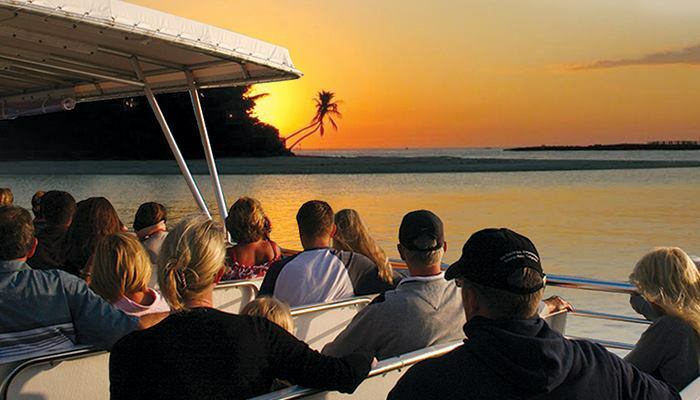 For more information on Pure Florida, or to register for a New Year’s Eve cruise, call Pure Florida’s reservation team at 239-263-4949 or visit www.PureFL.com.